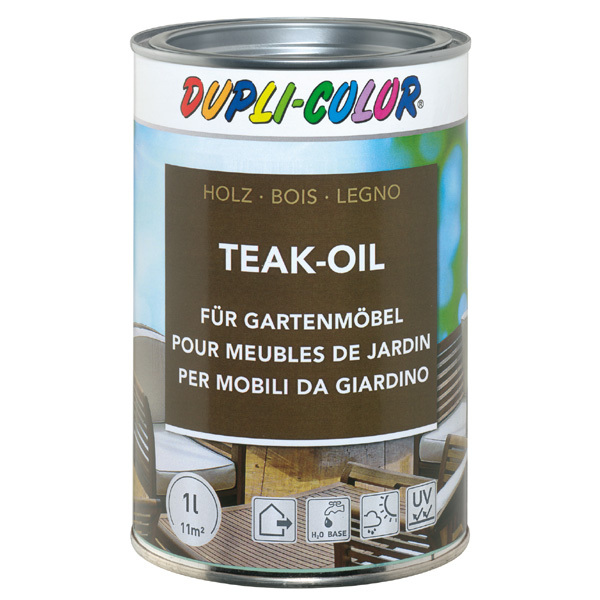 DUPLI-COLOR Teak-Oil is an excellent weather-protection, it acts impregnating, refreshes wood which has turned grey, and accentuates the natural character of the wood. Ideal suitable for the vivifying care and protection of all kinds of wood in the garden. It is ideally suitable für wood elements of hard wood (teak, bangkirai, larch wood) such as garden parquet, pergola, garden screens, carports etc.